When it was announced that there was going to be a movie made about the incident news outlets christened “The Miracle on the Hudson”, I think I rolled my eyes or shrugged. I might’ve done both. I then learned it was going to be called “Sully” and Clint Eastwood was going to direct it. I found myself dismayed, knowing the now 86-year-old screen legend isn’t going to be around much longer, but here he was shooting a film about an event that occurred in six minutes time. How does that make for a feature-length film? 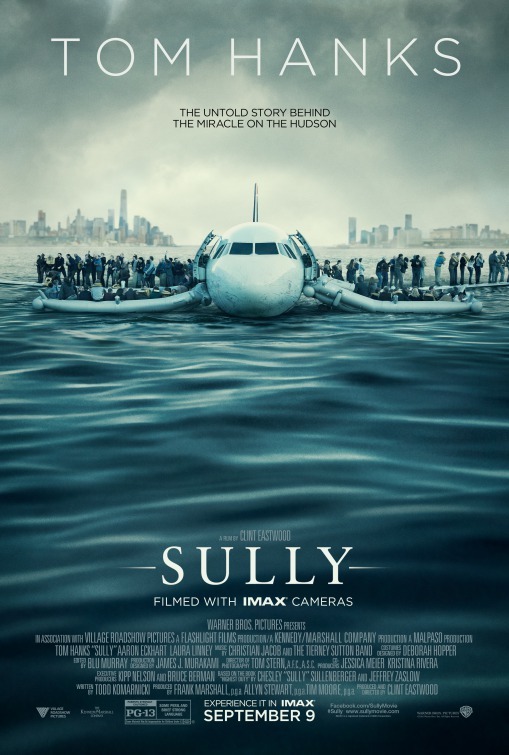 Granted, the emergency water landing of a blown double-engine airliner in between heavily populated areas of New York and New Jersey, was a miraculous feat – it still felt like, at best, this could qualify as a short film. Although I think I have a generally optimistic view toward upcoming films (or at least, I try), I wasn’t feeling it with this one. Well, my line of thinking, my feelings, were near-sighted and rash. This film turns out to be a revealing look at split-second decision-making and the details involved in the aftermath of such an emergency, while also being a fascinating character study on the psychological toll it takes to walk away physically intact from such an incident. Of course, it helps that absolutely no other working actor today could carry such a film than the one who headlines “Sully”. As US Airways Flight 1549 prepared for a flight from New York City to Charlotte, North Carolina (a stop over before its final destination of Seattle, Washington), the pilot Captain Chesley “Sully” Sullenberger (the ever-reliable Tom Hanks) anticipated a routine trip with co-pilot Jeff Skiles (a bushy mustachioed Aaron Eckhart) and three flight attendants by his side. For Sully, a pilot with forty-five years of flight experience, flying 155 passengers to their destination would feel like just another day on the job. But soon after takeoff, both engines were taken out by a flock of birds, forcing Sully to make some crucial decisions as to how and where to land the now damaged plane. 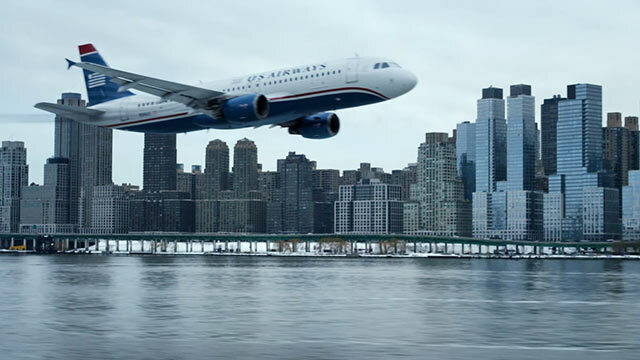 As his copilot flips through the emergency manual per procedure and air traffic controllers assure Sully he can return the plane back to LaGuardia or even make a right to Teterboro Airport in New Jersey, Sully knows his only chance is to land the Airbus A320 on the Hudson River. He does just that and does so with everyone on board accounted for. Media immediately saturate the new with global coverage of this miraculous emergency landing, lifting Sully up as a hero. Such recognition is uncomfortable for Sully, who must now account for his actions before the National Transportation Safety Board (NTSB) as they investigate if his landing was the absolute best course of action possible. As the evidence is scrutinized and pilots run through computer simulations of the event, Sully is haunting by what happened (as well as the disastrous results of what could’ve happened) and begins to second-guess whether he made the right decision. Of course, he did. That’s what we think and know as we watch “Sully”, a movie which earnestly and unnecessarily tries to add more to the actual drama already present. One can’t help but to wonder whether or not the board members of the NTSB, Charles (Mike O’Malley), Ben (Jamie Sheridan), and Elizabeth (Anna Gunn), are broadly portrayed as straight-up antagonists to over-dramatize the story. Screenwriter Todd Komarnicki – working from Sullenberger’s own account Highest Duty, which he wrote with Jeffrey Zaslow – must have felt the need to “create a bad guy” out of the aftermath, when in actuality it isn’t needed. It would’ve been more dramatic and compelling if these board members felt more conflicted about scrutinizing Sully’s actions, claiming ‘pilot error’, knowing full well the outcome was amazing. It’s after the movie’s third-act courtroom scene where this trio finally has their “yep, we messed up” moment, but only after Sully requests that a live simulcast of the recreation be made available using a thirty-five second delay after the bird strike (roughly the time Sully had to determine what to do) in order to accurately re-enact what transpired. While it’s an added element that gives the film more drama, there’s no need. All this scene does is provide Hanks an opportunity to deliver an indignant and stirring defense for Sully’s actions, providing one of several fine moments for the movie star. And really, despite its flaws, this movie serves to remind us that Tom Hanks is one of our few remaining movie stars. 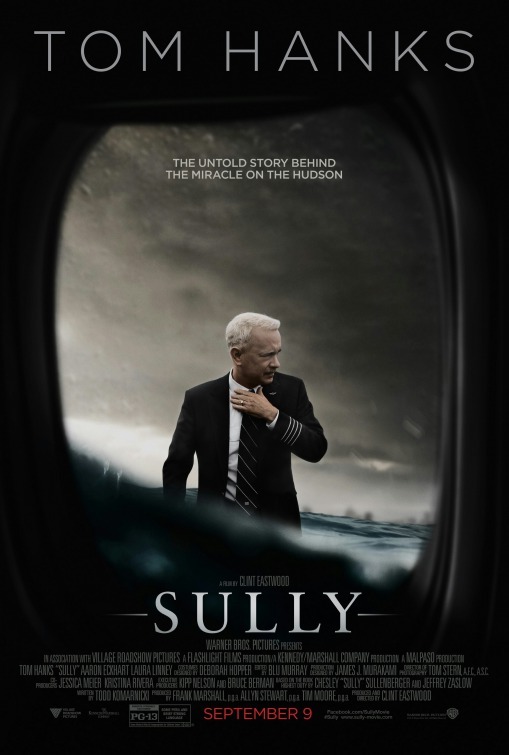 This movie would just not be the same if some other actor was cast as Sully. 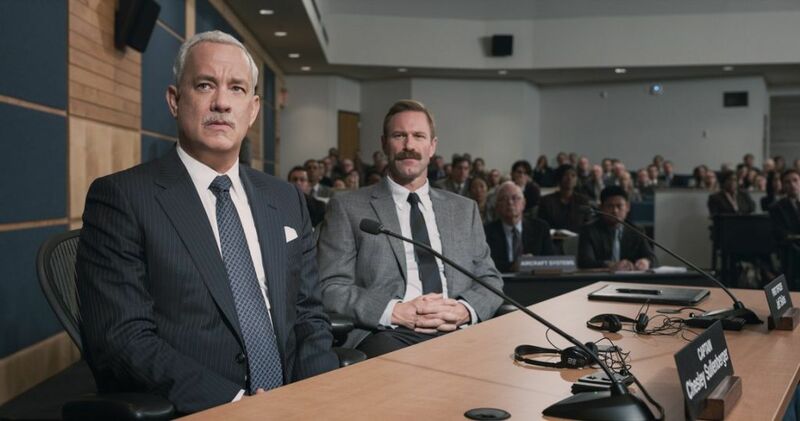 Hanks and Sullenberger have something in common – we trust them. It took Hanks numerous excellent performances to earn that trust and one miraculous landing witnessed by the world for us to trust Sullenberger. So, it turns out, Hanks getting cast as Sully, really elevates this movie. Remember that moment at the end of “Captain Phillips” when Hanks’ titular character realizes he’s been rescued? Hanks is phenomenal in that moment where he takes it in and finally exhales an emotional release. There’s another fine Hanks moment similar to that scene in “Sully”, when a colleague approaches a concerned Sully with a final survivor count. Again, Hanks takes that information in and what he decides to do with it as Sully is why he’s perfect for this role. It’s a quick, great scene – one of many “Sully” has as long as it focuses on Hanks and not the forced one-dimensional villainy of the NTSB. All this movie has to do is focus on Hanks to succeed and “Sully” does indeed do just that. Sadly, Komarnicki and Eastwood have very little for the great Laura Linney to do as Sully’s wife, Lorraine Sullenberger. All of her scenes are on the other line of the phone conversations she has with her husband. 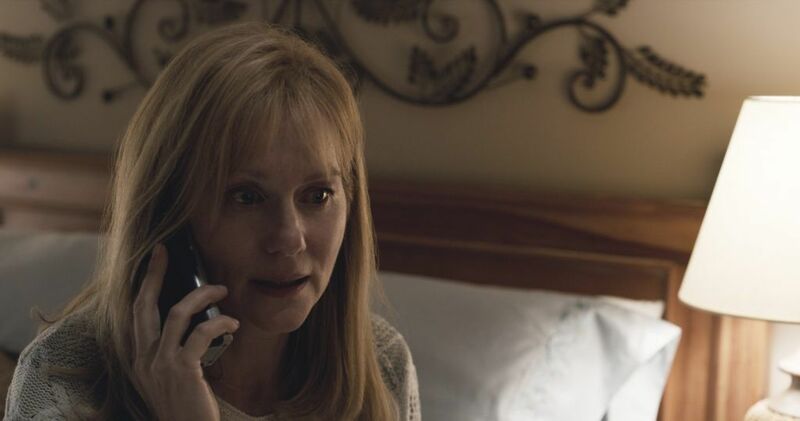 While that’s understandable, it’s also very formulaic and typical of the wife who’s geographically far from the spouse in peril and therefore relegated to concerned looks and shaky-voiced or frustrated tones over the phone, while tending to the kids or home life. To be honest, I don’t know what more could’ve been done with this character, but it was still woefully obvious what Linney was there for. It being a true story, one has to surmise this is really what went down, but there’s no getting around the stereotypical portrayal. I found myself surprised by the details screenwriter Todd Kormanicki included in “Sully”, probably because these are details I would never have thought of before. I’m not just referring to the details involved inside the cockpit or what kind of response the flight attendants have once they realize the plane is about to attempt to land on water. I expect that. What I found interesting were the elements I hadn’t thought of, such as what happens to the passengers once they are rescued by the Coast Guard as well as where Sully and Skiles are taken immediately after the landing. I never thought about how the pilot and co-pilot would have to be briefed and set up in a hotel while they await giving officials their statement. It didn’t occur to me that someone had to go to Wal-Mart and purchase clothes for these two waterlogged heroes, since they wouldn’t be going home right away. These and many other small details add up to a greater understanding of the overall step-by-step process (often quite tedious) involved after the emergency landing. “Sully” really doesn’t need to examine anything other than the water landing, the media coverage and the investigation. This isn’t a biopic, thankfully. There are choice morsels from Sully’s past which informs and shapes who he is, but no further fluff is needed, which is something Eastwood knows. Going into “Sully” one can’t help but wonder how Eastwood handles the flight scenes. It’s not like these scenes would be foreign to him, if you recall his work on “Firefox” and “Space Cowboys”, but obviously this would be handled by his visual effects team. The flight sequences we see are either flights that haunt Sully or the different perspectives of Flight 1549 that he recounts. All of the flight sequences feel seamless and sound authentic with no obvious or noticeable CGI. With the film being shot almost entirely in IMAX, every flying sequence looks fantastic, at least on the a Lie-MAX screen I watched it on. But the exterior visuals wouldn’t be as impacting, if not for Eastwood highlighting the passengers inside the plane. There is expected panic throughout the plane once hear Sully say, “Brace for Impact!” and the intensity from that announcement till the time the land is palpable on the screen. It’s such an unexpected situation for the passengers and certainly a sequence that finds viewers imagining what it would’ve been like for them. If there are countless movies made about catastrophic events in life – be they natural or man-made – at least we can now have one that involved a heroic act and a happy ending. That’s why “Sully” shouldn’t be totally overlooked. We can get our news from 24/7 broadcasts or read memoirs, but seeing something like this reenacted by two veterans such as Eastwood and Hanks is a wholly satisfying experience. I was impressed by these two once again as I watched a movie I didn’t think needed to be made.